Many watching US President Barack Obama debate Republican nominee Mitt Romney on foreign policy issues were taken aback (or some even pleased, I suppose) - each candidate functioned as an echo chamber for the other. The encounter may very well go down in history as the "me too debate." If a viewer had little, or indeed any, knowledge of American foreign policy, then he or she probably would have come to the conclusion that the country's relationship with the world was just fine and "American exceptionalism" stands on a solid moral foundation. 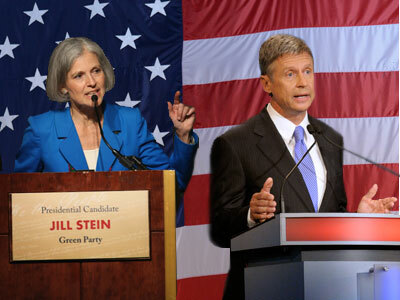 Both candidates appeared satisfied with their performance too – both could claim to be the winner in the debate. The fact is both candidates lost, the American people lost and the world continues to be threatened by America's unbridled power, from drones to starting wars of choice. But it doesn't have to be this way. This is why America's voters should tune-in to the Third Party debate which will be televised by RT America in Washington on November 5. 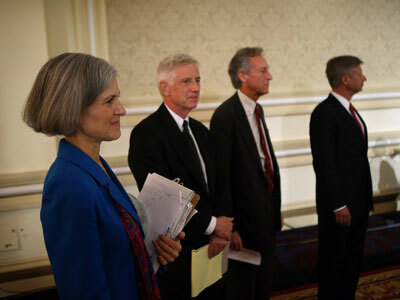 Libertarian Party candidate Gary Johnson will face-off Green Party candidate Jill Stein. Neither are experts in foreign policy, but this does not matter. 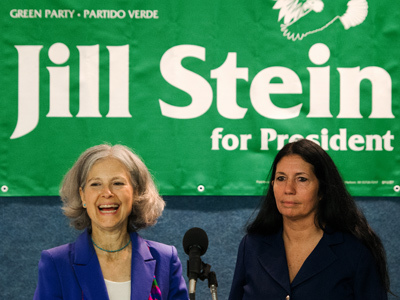 What does matter is the refreshing fact that Johnson and Stein can speak openly without the fear of what special vested interests and lobbies demand for support and money. Expect to hear what some Americans say amongst themselves, but hardly ever hear or read in mainstream media. Many voters are tired of war, bloated government budgets, expensive (and essentially useless) nation-building in foreign countries (after these same countries are destroyed by the Pentagon and other actors never held to account). 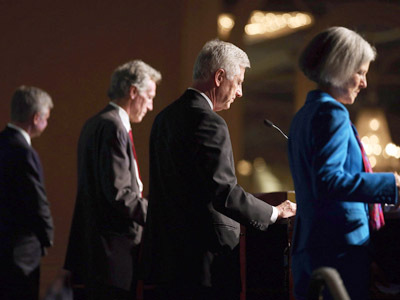 The Gary Johnson and Jill Stein debate is an important public service in a country that claims to be the beacon of free speech and political pluralism. Mainstream media long ago failed the American people – not to speak of the countless millions around the world who have fallen victim to a foreign policy that is rarely seriously debated in the US. 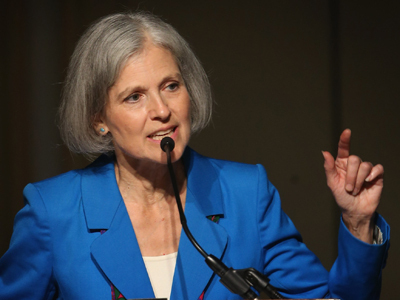 This Third Party debate is a small step toward reclaiming a more open and democratic conversation about foreign policy among Americans. * Radically re-casting or completely shutting down the "war on drugs"
There is nothing particularly radical or even original about calling for debate on these issues. They are discussed all the time by scholars, activists, and foreign policy experts. Sadly, they are purposefully denied a place in mainstream politics and media. 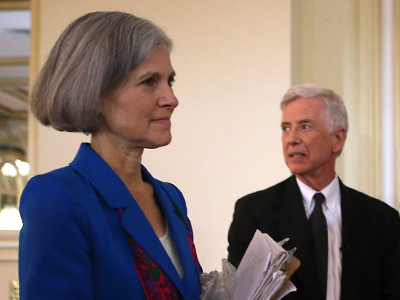 It is time to take back the foreign policy debate. Those who control it today do not have the interests of the voters (or the world) in mind. Peter Lavelle is host of RT's debate show CrossTalk and business program On the Money.